Every October, companies around the world make a buck—or a billion—off breast cancer. But most of that money goes to corportate profit and too little makes a difference for women living with and at risk of breast cancer. 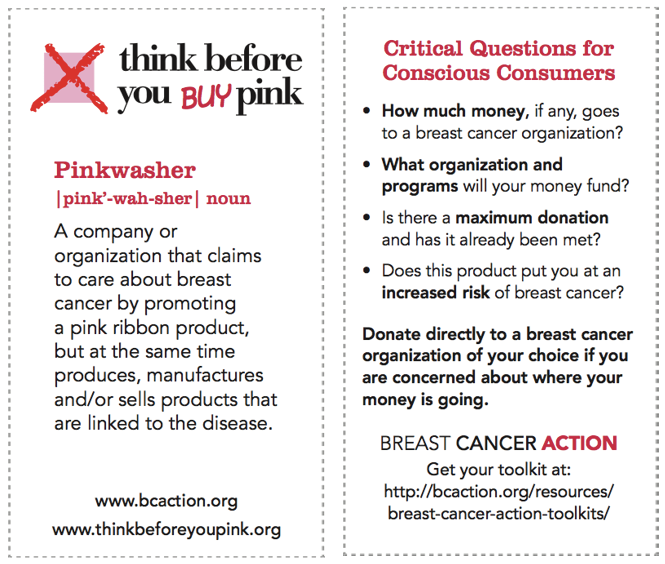 Enter your information to download your wallet cards with Critical Questions for Conscious Consumers. They're small, easy to keep with you, and have the four critical questions to ask before buying pink. Get your wallet by entering your info below!